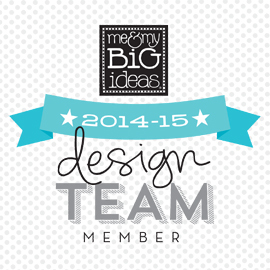 Welcome to the new 2016-2017 Happy Planner™ BLOG HOP featuring posts by the me & my BIG ideas Design Team! I’m excited to show you the style of my new ‘Botanical Gardens’ Happy Planner and share how I plan to use it come July. I knew immediately that I HAD to HAVE this planner. The black and white stripes + floral + gold foil = SWOON. I could not wait to get my hot little hands on this. And it did not disappoint. SO GORGEOUS. I go back and forth between the gold band and the new banded zipper pocket. LOVE having my favorite things attached to my planner. I have found that proximity and ease of use are the keys to my planning game success. The addition of two-year at a glance pages is fabulous. LOVE the touch of floral and fun font. REALLY LOVE the new combinations of colors and fonts on the monthly and weekly pages. Particularly excited about the PURPLE in this planner. The simplicity of the monthly goals and planning pages caught my eye immediately. Plenty of room for washi birthday cakes, photos, notes, and journaling. Looking forward to spicing up the polka dots: perhaps a gratitude type journal, one dot = one happy. Thanks so much for stopping by! Keep the HOP going by heading over to mambi Design Team member Heather Adam’s blog to see which Happy Planner™ she’s got her hands on! Love this one!!! This is the one I will be getting!!! This is my favorite so far! I LOVE the black and white stripes that really make the florals POP! Great color too!